Hello Darlings, Three weeks ago one of my favorite stores Nordstrom added more good cheer to the Canadian fashion scene, announcing they are opening stores in Toronto, Vancouver, Calgary, and Ottawa. 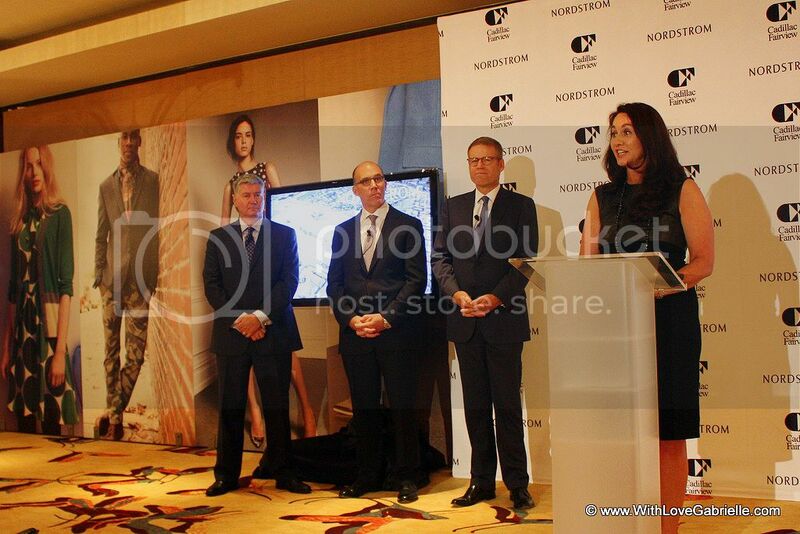 Thanks to my friends at the PR agency Maverick, I had the wonderful opportunity to not only attend the press launch at the Ritz Carlton hotel in downtown Toronto, I also enjoyed meeting and speaking with Blake Nordstrom who is the President of Nordstrom. 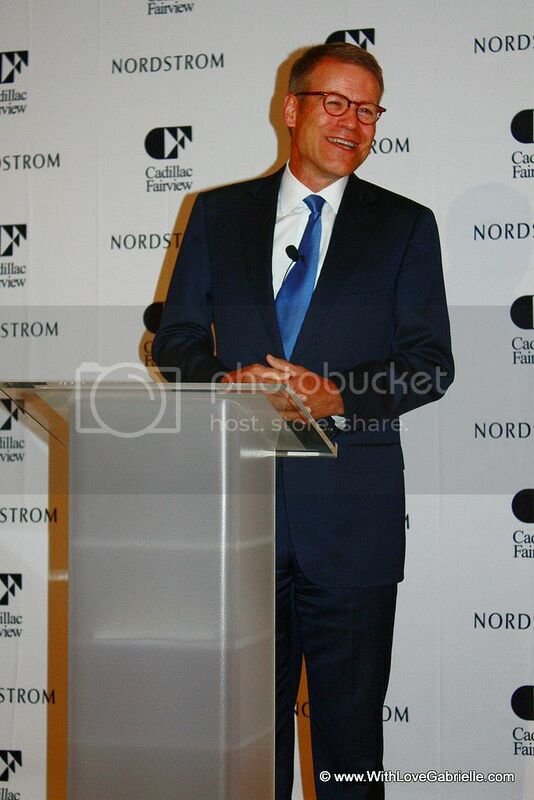 As you likely guessed, Blake Nordstrom is the fourth generation of his family to lead the company, which began as a shoe store in Seattle in 1901. I have been a customer of Nordstrom for several years — mostly shopping online at Nordstrom.com — but also shopping at their Las Vegas, New York and Miami locations. My favorite thing about Nordstrom is their huge selection of contemporary designers. Think Holt Renfrew, but with more and better selection of contemporary and up-and-coming designers! The only downside is that it will be a little while before their stores open :( On a bright side, the Toronto store will be at my favorite mall Sherway Gardens, set to open in Fall 2016. The fashion darlings of Calgary get the honors to welcome the first Canadian store at the Chinook Centre in Fall 2014, followed soon after with a Spring 2015 opening in Vancouver at the Pacific Centre, and Rideau Centre in Ottawa.